Designed to meet the specific requirements of 38-40 Grain High Velocity .22 Long Rifle ammunition, Bushnell's 3.5-10x36mm A22 incorporates a BDC turret and Dropzone 22 Reticle that is calibrated to this ammunition's ballistic profile. This scope will give you the ability to dial in different ranges in the blink of an eye with the BDC elevation turret, which is perfect for long distance varmints. Designed to meet the specific requirements of 38-40 Grain High Velocity .22 Long Rifle ammunition, Bushnell &apos;s 3.5-10x36mm A22 incorporates a BDC turret and Dropzone 22 Reticle that is calibrated to this ammunition&apos;s ballistic profile. 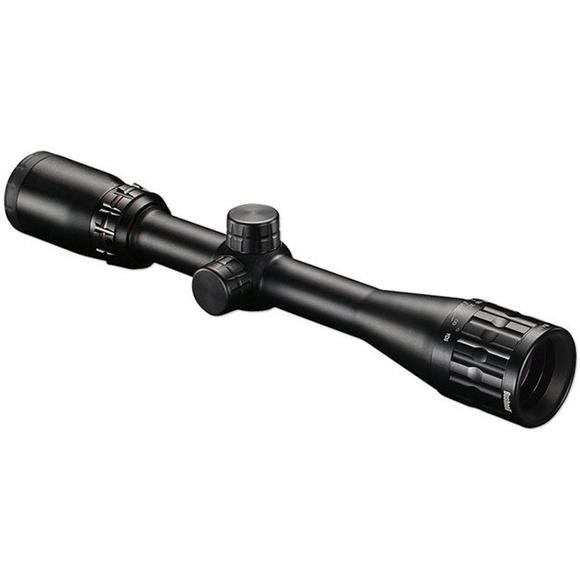 This scope will give you the ability to dial in different ranges in the blink of an eye with the BDC elevation turret, which is perfect for long distance varmints. When the scope is zeroed at 50 yards it has aiming points out to 125 yards.